This position will be located at Central Library, Adult Literacy Services. The ideal candidate must possess effective and cooperative communication and interpersonal skills and have the ability to relate to a diverse group of people. 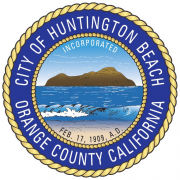 This is an excellent part-time job opportunity for an individual to provide staff support and customer service to patrons of the City of Huntington Beach libraries within the Library Services Department. The Library Services Department includes Administration, Adult/Technical Services, Facilities and Children's/Branch/Media. Note: This recruitment may close at any time, and will close as soon as the hiring manager determines that enough qualified applications have been received. This is a part-time, on-call position. The hours are on a set weekly schedule; however, the incumbent must be flexible to work on-call, evenings, and weekends. Excellent people skills and ability to work as a team. Must have sufficient training and/or experience to clearly demonstrate the skills, knowledge, abilities and personal attributes required for this classification, as may be demonstrated by successful completion of high school or higher and two years' directly related experience. Incumbent must be comfortable using personal computers and have familiarity with Microsoft Office.